If you're not sure what "hasselback" means, check out my great recipe for hasselback potatoes! This dish is a great twist on a stuffed chicken breast that's really easy to put together. Making a vegetable bake to go along side the chicken creates a great all in one meal. In a bowl, mix together the quark, salt & pepper, smoked paprika, cheese and bacon to form smooth mixture. 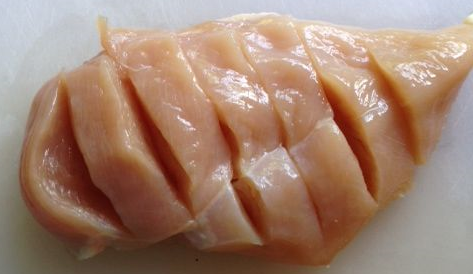 Using a sharp knife, make slits in the chicken breasts that are about 3/4 inches wide, making sure not to cut all the way down through the bottom of the chicken breast. You will have about 7 or 8 slits per chicken breast, depending on how large your chicken breasts are. Use a spoon to stuff the creamy mixture into the slits of the chicken breast. Add all the vegetables to a baking try Sprinkle with some extra smoked paprika and low calorie. 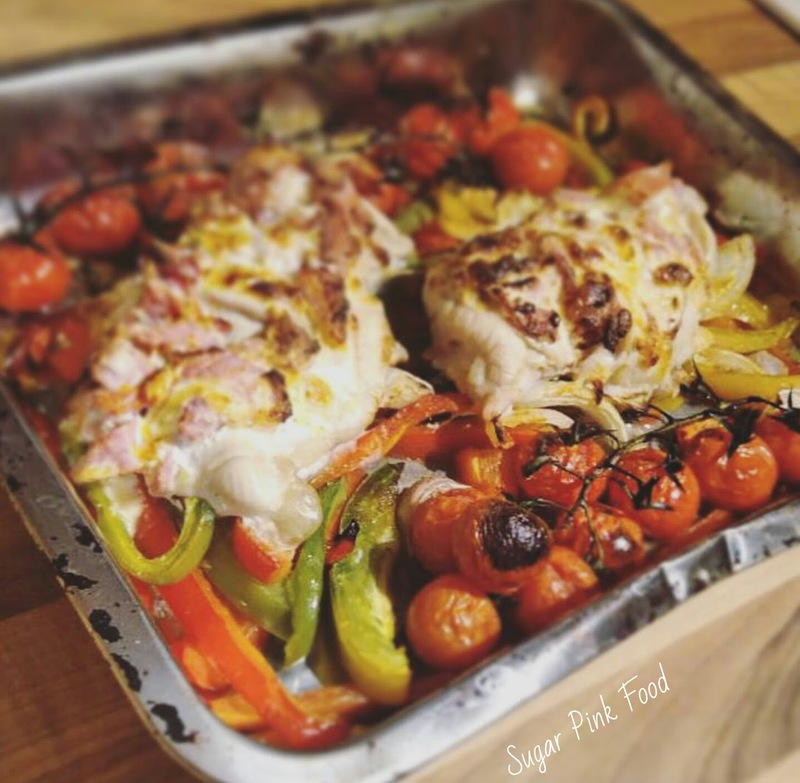 Place the chicken breasts on top of the veg and bake in the preheated oven for 30 minutes, or until the chicken is cooked through.